Traveling cat spotted on the beach of Essaouira, Morocco. 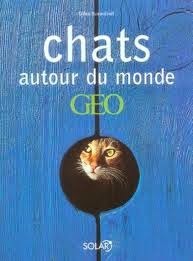 This picture was previously published in the cat photo book CHATS AUTOUR DU MONDE. dood.....watch out...another crazed burd iz bee hind ewe.... ! Now that is a great shot. Have a terrific Tuesday. Wow this photo is priceless! That's a very brave kitty! Whoa, brave kitty! We are only brave with our huge birds because they are on the other side of the glass! So pretty. What a brave cat he/she was! That cat better watch out! Brave little one! Great photo! WOah!!!! That is one brave kitty!!!! Ya gotta be tough to survive. wow! that is one brave dude! That is one brave cat!! Good grief, the birds are enormous! Amazing photo! What a brave kitty! Il est courageux ce chat. C'est dur parfois de survivre, se nourrir. Nos chats sont des pachas. D'autres doivent lutter pour manger. We don't think we'd mess with that bird! What a brave guy! As if he's saying, "Hello, Lunch!"